Construction Manager: Robertson Construction Services, Inc. The new Johnstown Monroe High School is part of a district renovation and addition project started in 2014 when the bond levy passed, allowing the district to build a new high school and elementary school and renovate the existing high school to become the district’s new middle school. 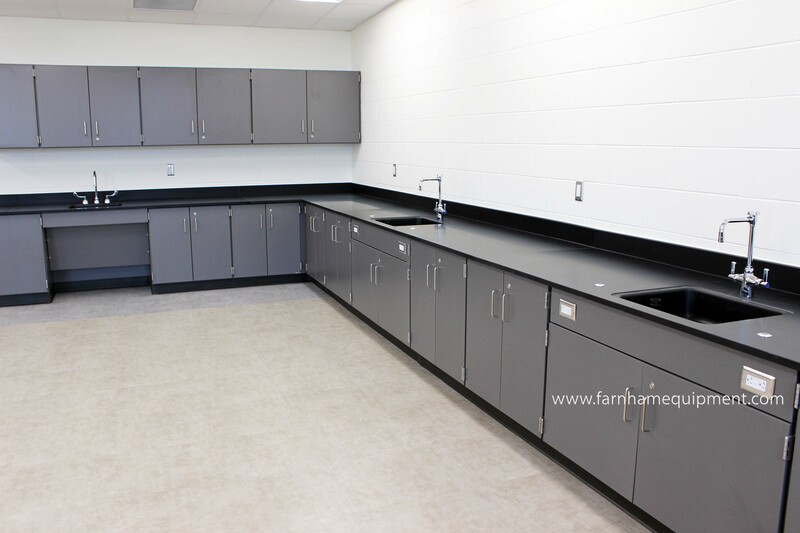 Farnham Equipment Company had contracts on each of the projects, providing casework for all three buildings and telescopic bleachers at the high school. The new high school features Stevens Industries Educational Casework, Science Lab Casework, and Music Storage. 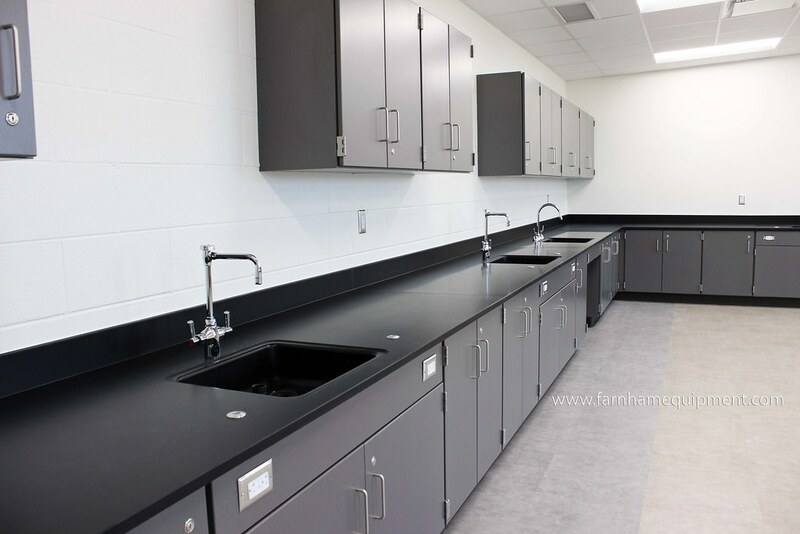 The district chose Citadel Warp laminate with Leave Likatre as their countertop with traditional bentwire Nickel pulls and 5-knuckle Nickel hinges. The High School’s Media Center utilized multiple laminate finishes (not shown) in Citadel Warp, Leave Likatre, Carmen Red, and Natural Teak. Two Hussey Seating Company’s Maxam26 Telescopic Bleachers were installed with traditional CourtSide seats in #194 Red with black rails and standard end curtains. ← Emergency Services | Are You Ready?